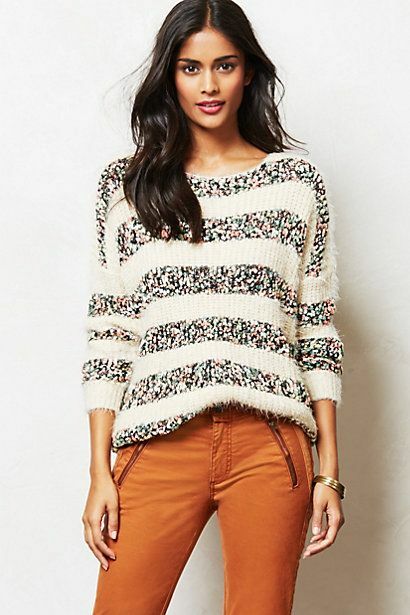 Love love love the arm detailing on the sweater and the shorter length!! Not only does it look great for a shorter statured woman such as myself but I also love the punch of color. Honestly, I see this being the perfect sweater for a chill night with friends while up in the NW. A comfy sweater that also glitters? Uhm, excuse me while I drool. Not only does it go with the ever popular skinny jeans but would also be cute tucked into a skirt. This sweater could also be the perfect piece to give life to your norm weekend look.